Come together as one community to memorialize the Holocaust, honor the millions murdered and stand together with survivors. 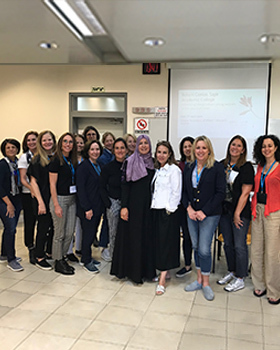 More than a dozen women from Miami’s Jewish community recently spent a week in Israel to see firsthand the work of Federation’s Women’s Amutot Initiative (WAI). 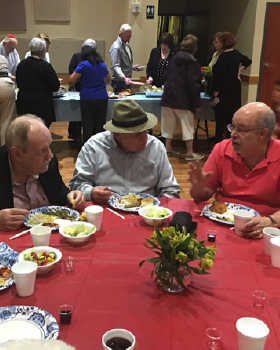 Congregation Dor Chadash’s Shabbat Dinner Club is engaging South Dade’s Jewish seniors. 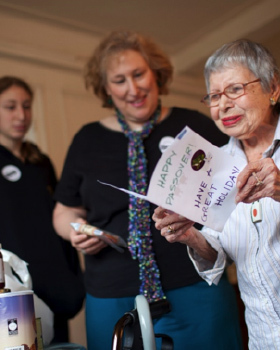 The program, which is supported through Federation’s Jewish Incubator Grants, hosts more than 70 seniors each month for enriching connection. Recovering addicts and their families are finding comfort within Miami’s Jewish community. Recovery Through a Jewish Lens, a program supported by a Federation Jewish Incubator Grant and organized by Temple Beth Am, is working to end the stigma around addiction. 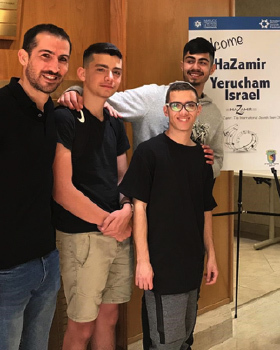 Mazel tov to the Y-Team, Yerucham's robotics team for winning the 2019 Chairman’s Award for Israel and being selected to represent Israel in the World Championships in Detroit. 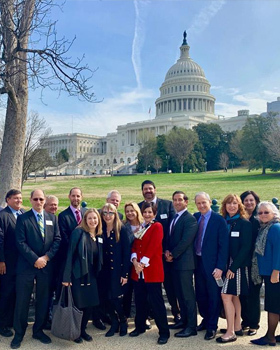 More than 20 members of Federation's leadership recently traveled to Washington, D.C. with Federation’s Jewish Community Relations Council (JCRC) for the 9th Annual Major Gifts/JCRC Advocacy Mission. Last week, Jewish teens from the Miami and Yerucham chapters of HaZamir, the International Jewish Teen Choir, performed together at the Miami Beach Senior Center and Beth David Day School. 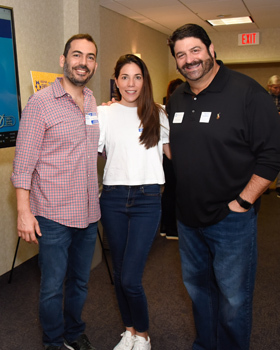 The Greater Miami Jewish Federation’s Lion of Judah Endowment Program, known as Forever Lions, is marking its 25th year with an impressive milestone. 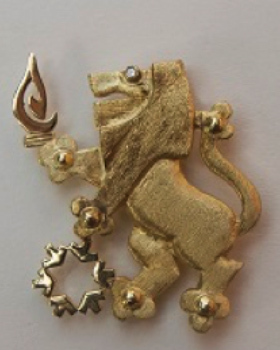 Two hundred women in Miami are now Forever Lions, endowing their philanthropic commitment to Federation at a minimum of $100,000. 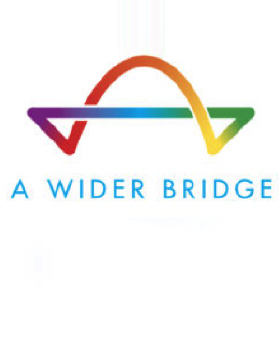 As part of Miami Pride Week, more than 70 people gathered yesterday for A Wider Bridge’s Miami-Israel Pride Reception at Temple Israel of Greater Miami. Children in the former Soviet Union (FSU) are strengthening their Jewish identity through a comprehensive Sunday School program, supported by your donation to Federation and our overseas partner The Jewish Agency for Israel. Homebound elderly and children with special needs in Ukraine experienced a joyful Purim, thanks to Federation’s overseas partner the American Jewish Joint Distribution Committee (JDC). If you have yet to register for the Greater Miami Jewish Federation Attorneys’ Division 35th Annual Judicial Reception, now is the time. 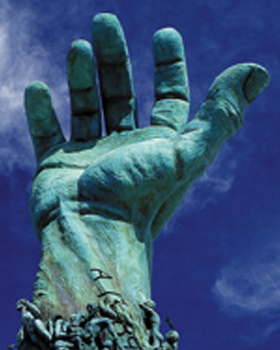 The popular event will take place this Monday, April 1 at 5:30 p.m. at the Hilton Miami Downtown. 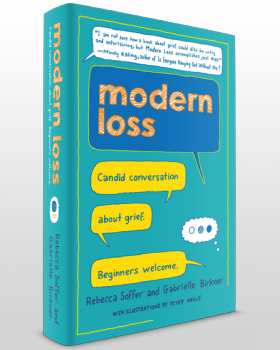 Join Federation’s Mishkan Miami Director Rabbi Frederick Klein, the Jewish Book Club and authors Gabrielle Birkner and Rebecca Soffer for an engaging, meaningful and yes, even entertaining, program on loss and grief on Sunday, April 7. 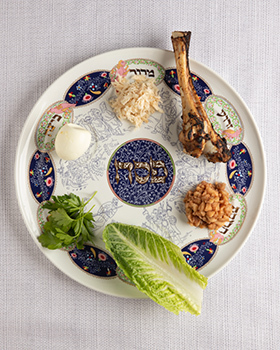 Mark your calendar to join Federation beneficiary agency Jewish Community Services of South Florida (JCS) for the annual JCS Matzah Mitzvah on Sunday, April 7. 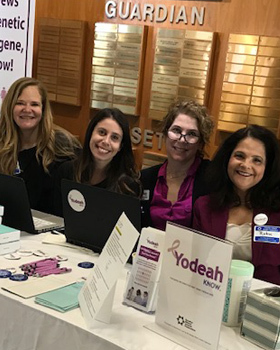 With the idea that knowledge is power, Federation is supporting Yodeah, a Miami-based, grassroots, volunteer organization that facilitates cost-effective testing for hereditary cancer gene mutations in the Jewish community. Thank You for an Incredible Super Sunday! Thank you for a wonderful Super Sunday and Good Deeds Day! 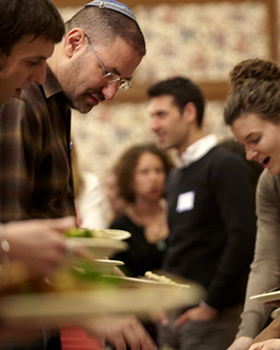 Last Sunday, 800 donors helped raise nearly $600,000 for the Annual Federation/UJA Campaign. 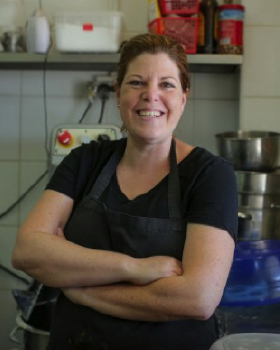 Israeli entrepreneurs are making their dreams a reality, while promoting economic development throughout the country with help from your donation to the Annual Federation/UJA Campaign. 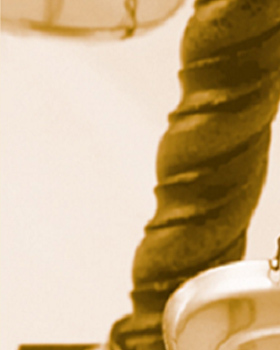 Join the Greater Miami Jewish Federation Attorneys’ Division at the 35th Annual Judicial Reception at 5:30 p.m. on Monday, April 1, at the Hilton Miami Downtown.